Need more information about booking Home 426537 ? Causey View is a delightful, cosy hideaway situated close to Keswick town centre providing self-catering holiday accommodation for two people. This self-catering cottage is regularly updated with Wi-Fi now installed, as well as a recently installed kitchen and fireplace, and the cottage is kept carefully. Visit Britain inspect annually and awarded the star rating of 4 stars. Being a town centre property, there is limited on street parking. However, a parking permit is supplied for the public car park which is a short walk away. Causey View self-catering cottage is an ideal base in Keswick from which to explore the northwestern fells and to take advantage of the many pubs, restaurants and shops which are just a few minutes' walk from the front door. Downstairs: The comfortable lounge contains an open fire, leather sofa, dining table & chairs, Wi-Fi, CD Hi-Fi, colour TV and DVD. It leads to a small but fully equipped kitchen and through to the shared garden and patio area at the rear. The kitchen is equipped with oven, ceramic hob, fridge, microwave, washer/dryer and dishwasher. Upstairs - an attractively furnished double bedroom with kingsize Victorian bedstead style bed and bathroom with electric shower over bath. There is a daily coach service to Keswick. By train head for Penrith North Lakes and get the X4/X5 bus service to Keswick. Alternatively drive to the Lakes - quickest way is to leave the M6 at Penrith (J40) and come into Keswick on the A66. A scenic alternative if coming from the south is to travel on the A591 through the south lakes. We live in Keswick and work full time. The best way to get in touch is by email or text message. We can usually offer a quick response and local knowledge but do not often see guests face to face. Change over days are Friday and Monday. This Cottage has 1 bedroom, 1 bathroom and sleeps 2. It’s been listed on Holiday Lettings since 27 Apr 2013. 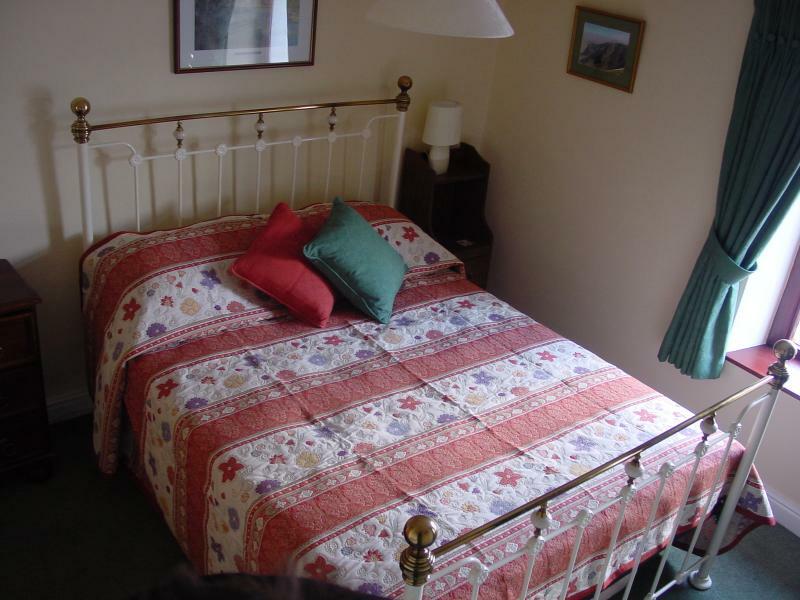 Located in Lake District, it has 9 reviews with an overall rating of 4. The average weekly rate varies from £413 to £539. You can get in touch with Steve & Jo (the owner) through the contact form on this page. Send Steve & Jo (the owner) an email through the contact form on this page. Alternatively, if there’s a phone number on this page, you can call them. How do I contact Steve & Jo (the owner)? If you’ve already booked, go to Manage your holiday booking to view Steve & Jo the owner's contact details or send them a message. Or send Steve & Jo (the owner) an enquiry through the Contact the owner/manager form if you’d like a quote or more info first. When you pay online through the Book your stay form, a booking request is sent to Steve & Jo (the owner). You’ll find out within 24 hours whether they’ve accepted - no money will leave your account before then. You can also request a quote from Steve & Jo (the owner) through the contact form. The owner will email you the total cost for your dates and a link to book and pay online. Use the Book your stay form to pay provisionally online. You can pay by credit/debit card or PayPal. Steve & Jo (the owner) will have 24 hours to accept the booking and no money will leave your account before then. Why can't I call Steve & Jo (the owner) before booking? You’ll need to contact Steve & Jo (the owner) to do this. Send them a message in Manage your holiday booking or through the contact form on this page. You can request to change the dates or number of people on your booking via the Manage your holiday booking page. To change your holiday dates use the Edit booking button. If you need to change the number of guests staying then send Steve & Jo (the owner) a message. If Steve & Jo (the owner) agrees, they’ll send you a revised quote outlining the changes. You can review and accept/decline this from the Manage your holiday booking page. You’ll have 48 hours to take action before the revised quote expires.